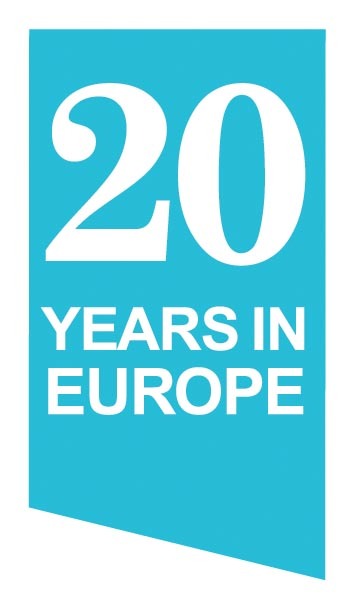 In 2018/19, the University is celebrating the 20th anniversary of the opening of its first European Centre in Brussels. The Brussels School of International Studiesis a key tenet of our European identity together with the centres in Paris, Rome and Athens so the ribbon and sub-brand below have been created to mark the occasion. For the twelve months from September 2018, promotional materials for the European centres can carry the sub-brand wherever appropriate. Never try to recreate the sub-brand. Always use the artwork provided to you. Always use the sub-brand artwork provided to you and do not alter or manipulate it in any way. Do not distort or angle the sub-brand. Do not change the colour, typeface or proportions of the sub-brand. To obtain a suitable version of the sub-brand please contact the Design & Print Centre. 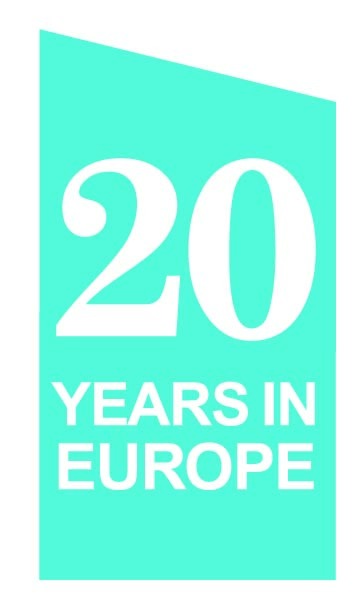 Download the Brand Guidelines PDF for more information on the 20 Years in Europe brand. 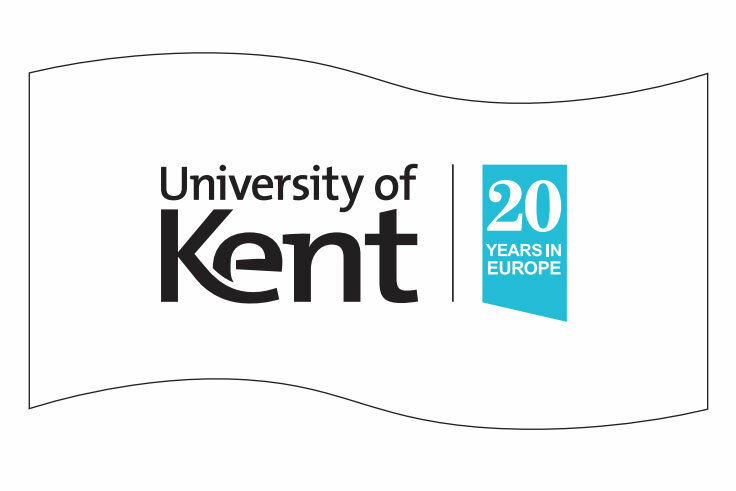 The master logo guidelines also apply to the 20 Years in Europe logo. 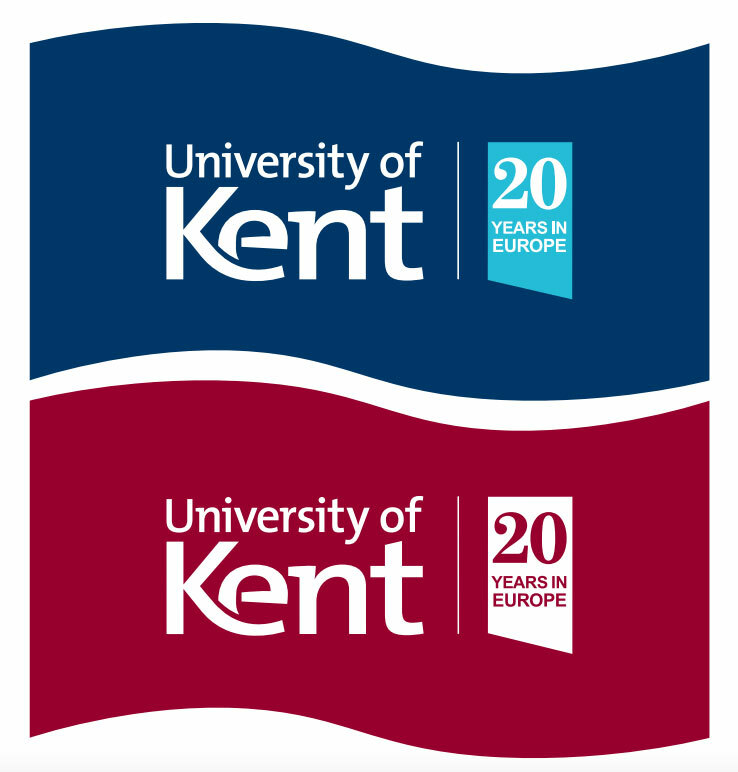 The logo and ribbon should only be reproduced in the colourways shown below. 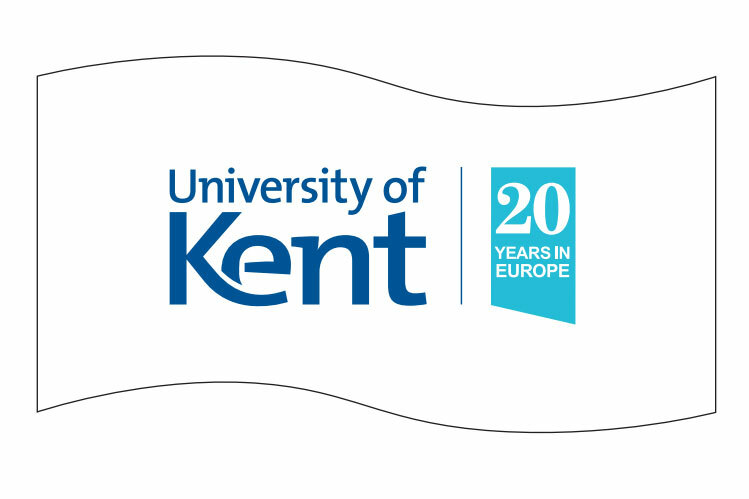 The ribbon should be positioned to the left of the logo, the space between the ribbon and logo is the height of the capital ‘U’ from University.